(Natural News) A recent report has revealed that toxic chemicals commonly found in cleaning products have detrimental effects on human health. The researchers have pointed out that exposure to toxic fumes from cleaning products — such as bleach, floor cleaners, fabric softeners, and detergents — may increase the risk of developing respiratory issues and adverse skin conditions. The experts cited a study published last year, which demonstrated that the use of harmful chemical-based cleaning products may negatively affect the respiratory tract. The study, conducted by scientists at the University of Bergen in Norway, found that people who regularly use the products are 14 percent more likely to suffer lung function decline over the next two decades. According to experts, the most common cleaning products that trigger this condition include bleach and different variants of ammonia. 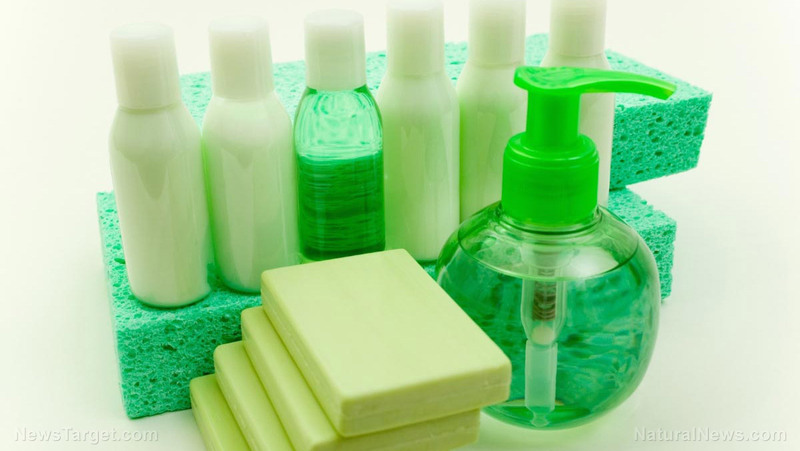 “Cleaning products can put people’s health at risk. So people should be aware of the risks and take steps to mitigate against them – if people have genuine concerns they should ensure that they discuss any symptoms and the possible link with their workplace with their doctor,” outside expert Professor Jørgen Vestbo told The Sun online. “Sadly, familiarity breeds complacency, and many people routinely underestimate the risks associated with household cleaners. Many contain ingredients which are highly irritant to both the skin and respiratory system…If you read the small print on labels you will see that many supposedly skin-friendly non-bio products also carry warnings that they can cause skin irritations – which makes a mockery of their supposedly skin-friendly claims,” says report author Dr. Gill Jenkins. Lemon juice – Lemon juice possesses strong antibacterial properties but relatively low pH levels, which makes it an ideal cleaning agent against grease, mildew and molds. Baking soda – Baking soda contains neutralizing properties that help eliminate foul odor in clothes, carpets and fridges. The article adds that baking soda’s granular texture is ideal for scrubbing, while its alkaline nature helps dissolve grime. Vinegar – The acidic nature of vinegar is known to be highly effective against grime, grease, and soap scum. Olive oil and other essential oils – Olive oil makes an excellent steel polisher, while essential oils are a great addition to homemade laundry detergent. Microfiber cloth – Microfiber cloth does not retain bacteria, unlike a traditional cloth or sponge. This makes it an ideal surface cleaner.